The Quesoff returns to crown the true master of cheesy goodness. 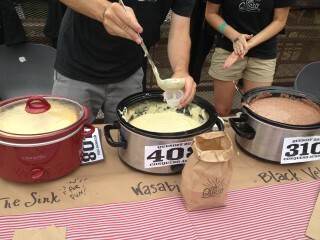 This queso cook-off will feature five categories: veggie, spicy, meaty, wild card and new one this year. The Mohawk is proud to debute the guacamole category, a.k.a. the Guacoff. Guests can RSVP online and entry is free, but all chips must be purchased at the event. Each bag will cost $5. Admission is free; $5 for chips.